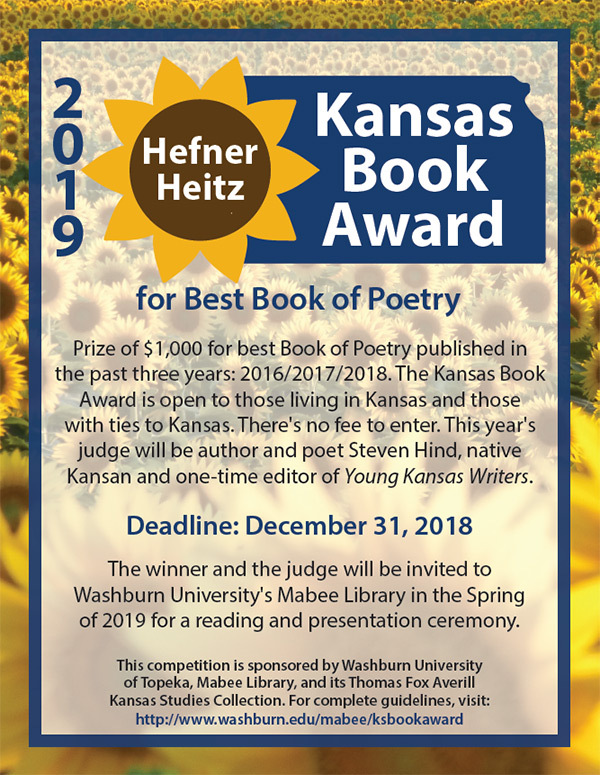 Kansas Poets with book-length works published in the past three years (2016/17/18) are eligible to win the $1,000 2019 Hefner Heitz Kansas Book Award in Poetry. 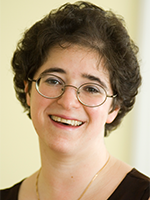 The annual award, rotating between poetry, fiction, and nonfiction, is sponsored by the Thomas Fox Averill Kansas Studies Collection at Washburn University in Topeka. There is no fee to enter. This year's judge will be Steven Hind, longtime English professor at Hutchinson Community College, one-time editor of Young Kansas Writers, and one of the deans of Kansas Poetry, as evidenced in his collections: Familiar Ground (1980), That Trick of Silence (1990), In a Place With No Map (1997) and The Loose Change of Wonder (2006). Deadline for submission is December 31, 2018. For complete guidelines, please visit our website. The 2018 Hefner Heitz Kansas Book Award in Literary Nonfiction went to Louise Krug for her memoir Tilted: the Post-Brain Surgery Journals. Other previous winners are Andrew Milward in Fiction, for his story collection I Was a Revolutionary, and Amy Fleury, for her poetry collection Sympathetic Magic.